It is a seriously flawed argument; firstly because coal use has not delivered affordable electricity to the poorest communities. It is used in these communities for cooking and heating and contributes to the massive burden of indoor air pollution. More coal will likely displace other combustible fuels like wood, without any health or economic benefit. On the other hand, our exports enable the growth of coal-fired power generation that pollutes and chokes the world’s big cities. How on earth will increased coal use reverse this unhealthy trend? Secondly the pro-coal argument presumes large centralised coal facilities are necessary to provide access to electricity despite there being emerging alternatives that don’t require expensive electricity networks. If we really wanted to improve health in the poorest communities we could simply supply non-polluting renewable energy technologies directly to them. In any case there is little credibility arguing a moral case, when at the same time you are cutting foreign aid to those same countries. Economists have also labelled these pro-coal claims as nonsense; from a health perspective they are even more absurd. Outdoor air pollution is a major public health problem, with many studies published over the last two decades confirming that exposure to fine particulate matter and other pollutants in the air we breathe causes heart disease, asthma, stroke and lung cancer, even at levels that we experience in Australia. Burning fossil fuels is the dominant source of these air pollutants and coal is a very significant contributor. Coal combustion is also far more polluting than alternative means of electricity generation. Arguments advanced by politicians; including our PMs recent remarks, continually fail to acknowledge or account for well-documented health costs, but they are certainly very real. For example, a 2011 study from Harvard University found that burning coal cost the US economy between $340 and $500 billion dollars a year, mostly from air pollution, but also climate and other environmental impacts. If these costs were included it would increase electricity prices by up to 300 per cent. US economist William Nordhaus even found the costs of coal pollution made it a marginal or net economic burden to US taxpayers. The hidden costs of electricity generation in Australia were calculated to be $2.6 billion by the Australian Academy of Technological Sciences and Engineering in 2009, again mostly from air pollution. Current estimates are that 3000 Australians die each year as a result of air pollution. Globally the figure is around 3.2 million. Many of these deaths occur in the densely and heavily polluted cities of India and China, where coal is already recognised as a major contributor and necessitating measures to clean up their unhealthy air. Yet these are two countries where our government intends to send more of our coal to be burned! Greenhouse gas emissions from coal are a significant contributor to climate change, which is also now recognised as a major health threat. Increasing severity and duration of heatwaves, more extreme weather events and droughts can affect our health directly, but the secondary effects mediated through changing patterns of infectious disease and from compromising both water and food security are far more damaging and insidious. These factors in turn may lead to societal disruption, conflict and migration. Between 140,000 and 400,000 deaths are currently attributable to climate change annually, mostly in the poorest communities in the developing world, and that’s with just 0.7C average global temperature increase so far. These impacts are not evenly spread. Children for example are especially vulnerable, as detailed in Doctors for the Environment Australia’s report; No Time for Games. The nations where we are promoting our coal are the very same nations that will be hardest hit by climate change. The Hindu Kush-Karakoram-Himalaya glaciers are a source of water for about a quarter of the world’s population and these glaciers are melting and in retreat due to a combination of air pollution and climate change. Not only does this melt water underpin food and water security in the region, but it serves as the main power source for an increasing number of hydroelectric facilities. There is indeed a strong moral argument here, but in marked contrast to some of the political rhetoric, it is very clearly against coal. 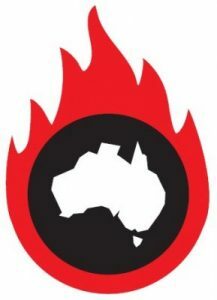 That is why several well-known doctors and health professionals were amongst the 61 distinguished signatories to this week’s open letter calling for Mr Turnbull to stop any new coal mines and call for an international moratorium on coal. 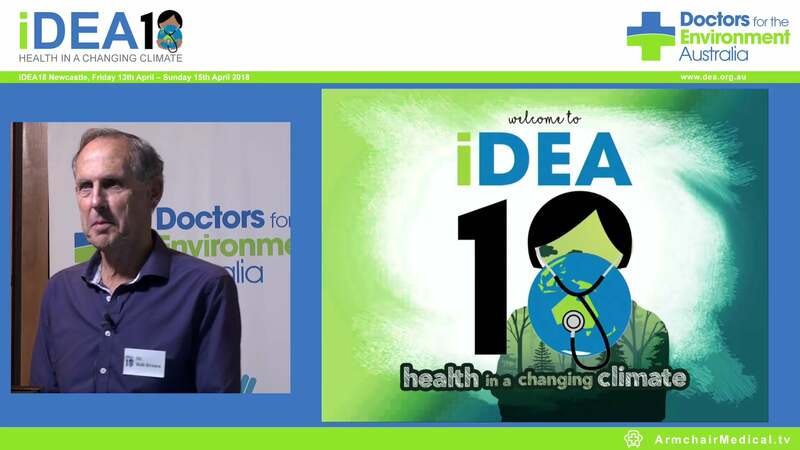 Dr George Crisp is a GP and the WA chairman for Doctors for the Environment Australia.